Posted on 15th November 2018 at 6:22 pm. Eamon Sheehan is farming 70 hectares near Cuffesgrange in Co Kilkenny. The new entrant to dairy is a Nuffield Scholar and an avid sport horse fan. Eamon milked 150 cows this year. Sixty cows were milked in 2013. This has gradually increased to 150 cows being milked in 2018 and 180 cows planned for 2019. 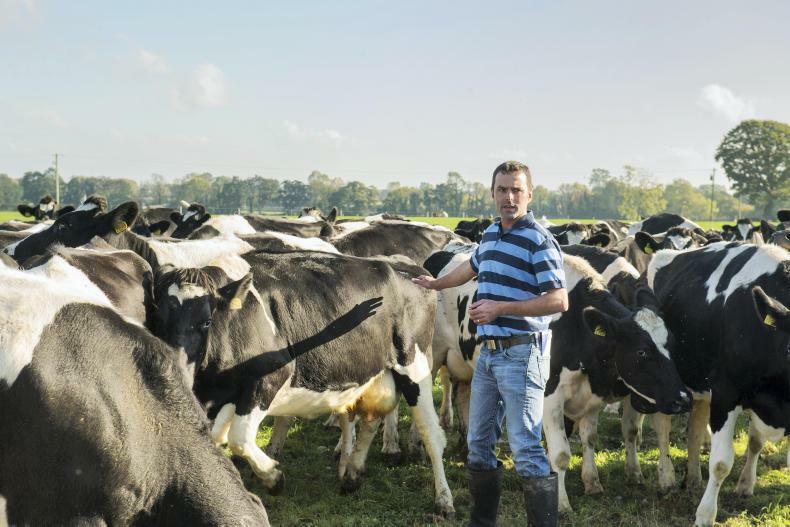 The original herd of first lactation cows were purchased from three different farmers. All the cows are black and white and mainly Holstein Friesian. The breed is certainly delivering for the Sheehan’s. The empty rate after this year’s breeding season is exceptionally low at 2.7% empty after 12 weeks of breeding. This is exceptional breeding performance for a large commercial herd. The empty rate with the heifers is actually higher than it is for the cows at 3.6% after nine weeks of breeding. However, the numbers empty are small with two out of 56 heifers not in-calf. Eamon does all of his own AI. The EBI of the herd is €101 however, this is expected to rise over the coming years. The EBI of the bulls used in 2018 averaged €217 which is a good bit higher than the herd average but still about €70 behind the highest EBI bulls that were available. In 2017, 750kg concentrate per cow was fed. When the judges visited the farm in early October, the herd had produced 399kg of milk solids to date, but because of the drought Eamon fed a lot more in 2018 with 1.25t of meal fed per cow up to early October. In 2017, all heifer calves were reared on whole milk and were reared on an automatic feeder in 2018. The farm grew 15.4t/ha in 2017, but by early October the total growth was nearly half that at 8.4t/ha. The drought really affected this part of Kilkenny and the Sheehan farm was one of the worst affected. Significantly more meal and silage had to be bought in. New born calves get three to four litres of colostrum within two hours of birth. All the cows have been tested for Johnes disease. Eamon started testing for the disease three years ago. As the herd was formed in 2012 from a number of sources, the disease status of the herd was unknown. Only colostrum from cows that are clear of Johne’s disease is fed to calves from first calvers. Eamon vaccinates against IBR, leptospirosis, salmonella and scour. In 2017, the herd sold 440kg of milk solids per cow with 60% of the cows at first and second lactation. Last year, the herd sold 440kg of milk solids per cow with all heifer calves reared on whole milk and with 60% of the cows at first and second lactation. The Sheehan’s have an electric mobile milking plant that they use for milking freshly calved cows to get colostrum. Every cow is milked by this machine after calving and the calf is fed. “It’s as quick to milk the cow and get higher quality and warm colostrum as it is to go heat up colostrum. We just tie up the cow in the calving gate and put the clusters on her. Now, we don’t milk first calving heifers with the mobile plant as I think it would be too dangerous so we use colostrum from cows for feeding calves out of heifers.” Eamon says. 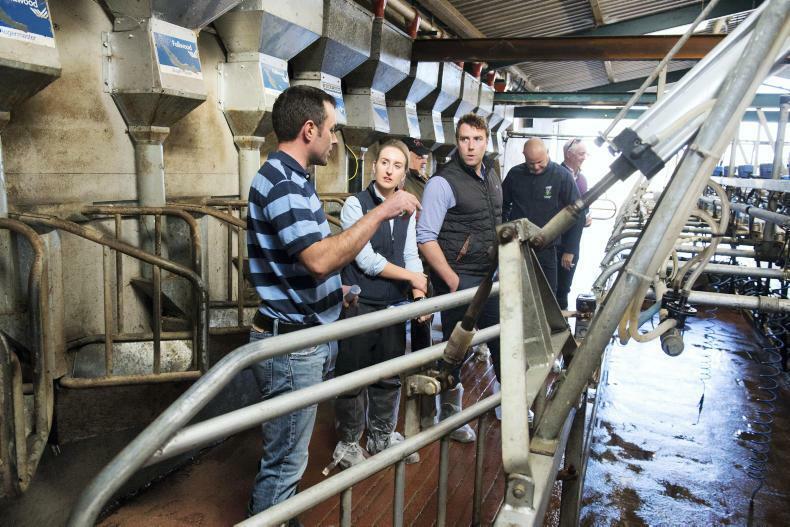 The Prevention For Profit competition is aimed at innovative dairy farmers who are maximising their profitability by focusing on four key pillars of production. Nutrition, genetics, management and animal health. For this competition, a panel of judges went on-farm to assess the farm’s level of productivity and profitability.